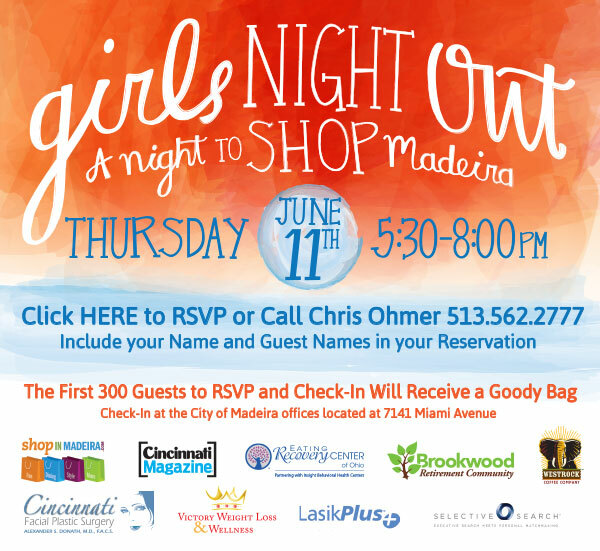 Shop Madeira at Girls Night Out event on Thursday, June 11! I always love a good excuse to shop, and this one comes the day after my birthday! Plus Madeira has one of my favorite local shops, La Silhouette (click here to see all the stories we’ve done about them on Cincy Chic!). See ya there! Previous PostNew Accessory Arrivals at A Village Gift ShopNext PostSneak Peek of Red, Pink and Blue 2015 Fashion Show!